The Revolution is finally here! 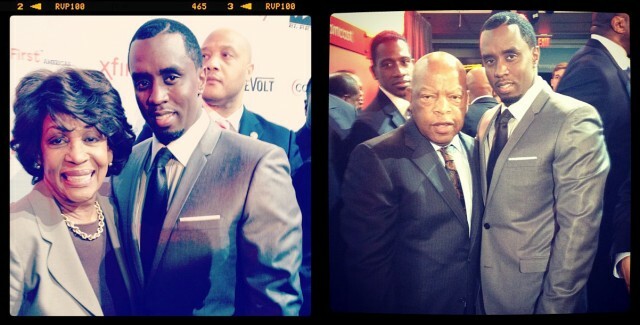 Sean 'Diddy' Combs announced his new network Revolt at the Newseum back in March of 2012. I had the opportunity to attend the event and was really excited to hear all about the new network. I asked myself on several occasion "what's going on with the new network" well my question has been answered. I can't wait to see the launch in July. During his remarks, Sean Combs praised the civil right community adding that “my generation doesn’t thank you enough” after mentioning Rep. Waters, National Urban League President Marc Morial and Rev. Al Sharpton. “Thank you for giving us the opportunity to stand on this stage today.” he said. “If I turn on the television and I can’t show my kids people who look like them on the major networks it doesn’t make sense to me,” Combs told the crowd. Every generation needs a new Revolution! The power they took from the people will return to the people. We are not machines. We do not look to the World for validation. We are the people that future generations will follow. "Revolt Network is the first live channel powered by music and driven by culture & fueled by You! Make sure you follow @RevoltTV for daily updates.